With a big number of unregulated binary options and FX firms targeting the potential customers French market, AMF, the financial services watchdog of France, has issued a full list of companies that do not have the license to allow them solicit French clients. The watchdog body AMF, which stands for Autorite des Marches Financiers, separately issued two warnings against lots of binary options and Forex brokers who provide their services in France despite the fact that they lack the requisite permission to do so. This list that contains unregulated brokers includes some 45 names, as opposed to 32 that were in the list earlier issued by the same body in July 2014. Also, the AMF discovered some 122 unauthorized binary options brokers that are soliciting French traders. This is a steep rise from the previous 77 brokers that were included in unauthorized brokers list in July 2014. Following the blacklisting of these unregulated companies, the AMF has moved to advise all prospective investors to doubly ascertain that their provider of investment services has all the requite authorization and the licensing that allows them to provide their services in France. To know the names of these blacklisted investment providers, just check it out at www.regafi.fr. As to the companies that their names feature in this latest warning, AMF advises investors to shy away from all contacts and communications with these companies as they are operating illegally. Customers are further advised to severe links with the representatives or people purporting to act on behalf of these companies. 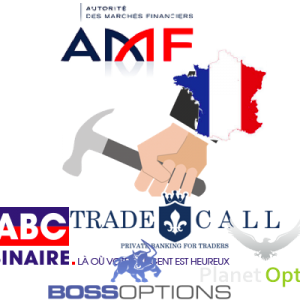 In February 2014, the AMF also published a list of binary options brokers who did not have regulatory permission to provide their services in France but which went ahead to solicit French clients regardless. The list, which replaced another one published in January 2014, as expected, contained more websites compared to the one that it succeeded. If you recall correctly, the January list had 68 unauthorized binary options brokers compared to the 75 websites contained in the February list. According to the French regulator, the websites included in the latest list belong to firms which do not have permission to operate in France. Also, these companies have been discovered to solicit clients by not only using aggressive marketing but also providing information that is misleading. The French regulator’s warnings come in the background of other similar alerts from other watchdogs like MFSA (Malta Financial Services Authority) and BCSC (British Columbia Securities Commission) regarding the firms that provide trading but with dubious status. Also, the CySEC, which is the Cypriot regulator, has also been issuing warnings and at the same time revoking licenses of rogue binary options brokers who went against the regulations. 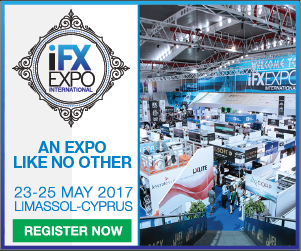 The CySEC had in February announced that it intended to keep Cedar Finance license. This binary options broker is also found in the French blacklist as having been suspended. As an investor, you are advised to note the blacklisted firms so that your investments do not go to waste. Just check out the provided website for a comprehensive list of all the companies that have been blacklisted. The full list of Binary Options Brokers BlackListed can be found here: FULL LIST. Are You a US Trader? 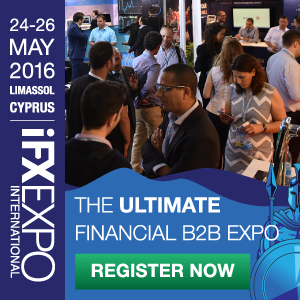 What are the benefits of investing with a Binary Options Broker? RISK WARNING: Trading in any off-exchange options market may have potential rewards, but also brings with it potential risks. There is considerable exposure to risk in any off-exchange financial transaction, including, but not limited to, leverage, creditworthiness, limited regulatory protection and market volatility that may substantially affect the price, or liquidity of a financial asset. Please be aware of the risks and be willing to accept them in order to trade binary options. BinaryOptionsNow.com is an informational resource designed to provide binary options news, binary options strategy and information but does not take any responsibility and/or liability for any financial investing of any sort that was initiated and/or carried out based upon or using information from Binaryoptionsnow.com and/or its affiliates. Before deciding to participate in the binary options market, you should carefully consider your investment objectives, level of experience and risk appetite. Do not trade with money you cannot afford to lose. BinaryOptionsNow.com is owned by Promolity, LLC, a for-profit organization that earns revenues from the advertising displayed on BinaryOptionsNow.com and related websites. Copyright © 2008-2016 Binary Options Now. Promolity, LLC. All rights reserved.